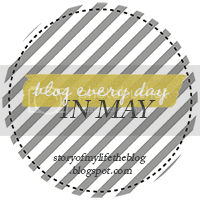 I'm on a roll with this whole "blogging in advance and scheduling posts" thing. I doubt I'll get this whole post finished during this writing session, since I have to be at work in 16 minutes, but I think figuring out the blogger app for iPad and starting a new blog post while chowing down on a food court snack is pretty productive! I started this post a few days ago, but then I had technical difficulties with my picture. That's what I get for trying to be creative! But I finally figured it out. Sell myself in ten words? I'm usually more loquacious than that, but I enjoy the challenge. What do you think? Is my blog worth reading? Did I leave out a word you feel describes me better? Which of these ten words describes me best? If you linked up today, let me know in the comments! You're too sweet. :) Thank you!